I like Boulevard beer. And I like the American Jazz Museum. It was a given that I would diligently cast votes for the museum in the brewery's Boulevard Loves KC charitable campaign during the past ten days. The museum was one of three charities designated to receive funding based on quarterly sales of Boulevard's KC Pils brand. The charity with the most votes receives 60% of the funding. The other two split the remaining 40%. Between the daily votes I cast on my home network and elsewhere on my cell phone, my efforts represent over two percent of the 659 votes cast for the museum. With a few hours remaining, The KC Pet Project has received 56% of the votes while the museum's tally accounts for 8%. I'm not surprised that the museum lost- people in Kansas City are loopy for cats and dogs- but the paucity of votes for the museum is alarming. Two recent failed Kickstarter campaigns related to Kansas City jazz giants Myra Taylor (15% of goal reached with 25 backers) and Bobby Watson (2% of its goal reached with four backers) indicate that the issue isn't limited to the American Jazz Museum. I'll surprise longtime Plastic Sax readers by suggesting that the problem isn't that the audience for jazz is too small. Instead, I believe it's too divided. There's little consensus on what styles of jazz and which Kansas City jazz institutions merit support. The majority of the over 1,000 people who attend every concert by the Kansas City Jazz Orchestra at Helzberg Hall probably aren't terribly concerned with the legacy of Charlie Parker. Most of the supporters of the jam sessions at YJs don't feel a strong connection to the American Jazz Museum. There's little overlap between fans of the outside sensibility of Snuff Jazz and the stride piano of Bram Wijnands. During a free Jazz Winterlude concert in January, people waiting for an appearance by swing vocalist Deborah Brown didn't hide their displeasure with a forward-thinking acoustic performance by Julian Lage and Jorge Roeder. Many of Lage's fans left Yardley Hall before Brown's set began. We can talk about the digital divide and disagree over the policies of publicly-supported institutions, but until the entirety of the jazz community can rally around a single idea, the current fractured state of affairs will continue to weaken the entire scene. Thollem will demonstrate his "colossal sonic machinations" as he performs to a "backdrop of the exquisitely twisted stop-motion films and videos of Tuia Cherici" at the Paragraph Gallery on Monday, September 30. The sonic and visual freakout is part of the Black House Collective's New Music Festival. Jazz purists needn't worry- the embedded video lasts less than a minute. *The Kansas City Star reviewed Deborah Brown's performance with the Kansas City Jazz Orchestra at Helzberg Hall and Miguel Zenón's appearance at the Blue Room. *Ben Ratliff of The New York Times interviewed Stanley Crouch about the new biography Kansas City Lightning: The Rise and Times of Charlie Parker. The author also discussed Parker with Don Imus. *A set of photos documenting the Prairie Village Jazz Festival was posted by KC Jazz Lark. *Joe Klopus highlights Jim O'Connor's visit to Kansas City in his weekly column. *Black House Collective shares photos of its ongoing new music festival. *Here's the audio of a recent edition of 12th Street Jump's "Blues In the News." 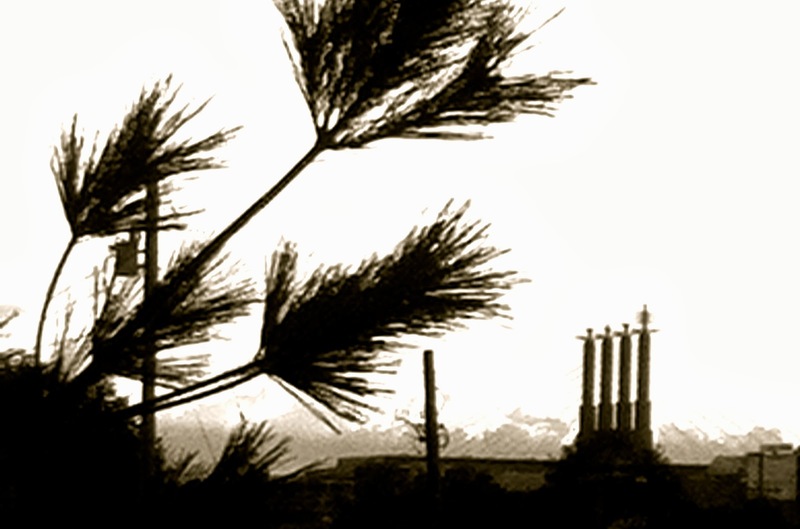 *Pat Metheny's Unity Group (sic) has a date booked at the Topeka Performing Arts Center on March 8, 2014. *Comment o' the Week: North KC Evan- 12thStreet Jump puts live KC jazz all over the radio! What other KC jazz ANYTHING reaches that many people on a weekly basis? Find some love...or just respect. *Tweet o' the Week: Michael Shults- Miguel Zenon just broke music. It's broken. He shattered it into a million tiny pieces. *From a press release: A celebration of the life and music of Charlie Parker with Chuck Haddix discussing his new book “Bird: The Life & Music of Charlie Parker.” Accompanied by Special Guests Saxophonist Bobby Watson And Trumpeter Hermon Mehari along with Tim Whitmer and an All-Star Band playing the music of Charlie Parker… To musically enhance excerpts of this story, internationally renowned saxophonist Bobby Watson will channel Charlie Parker through his horn… Bobby will be joined by trumpeter and former student, Hermon Mehari and other musical guests… Spirituality & All That Jazz. Unity Temple on the Plaza. Wednesday, October 2, 2013. Tickets at the door only - $7.00. *From the American Jazz Museum: The American Jazz Museum is one of three organizations chosen to benefit from sales of Boulevard Brewery's KC Pils from July 1 through September 30. Beginning September 20, a ten-day public voting period will determine how the money will be divided, with the top vote getter receiving 60% of available funds and the two runners up each collecting 20%. The process will repeat every three months, so that 12 worthy organizations will receive funding each year. Ballots may be cast here. *From Rob Scheps: On Friday September 27, I will play a cool double. Two hip, different venues with 2 great bands… Friday Sept. 27: Rob Scheps (flute/ tenor sax) with the Ron Carlson Trio, 6 pm to 8 pm, Lucky Brewgrille. Friday Sept. 27: Rob Scheps with the Mark Lowrey Trio, 9 pm to 12 am, Green Lady Lounge. *From a press release: The Count Basie Orchestra and All That Music Productions, LLC, is pleased to announce the appointment of Scotty Barnhart as the new Director of The Legendary Count Basie Orchestra. He follows Thad Jones, Frank Foster, Grover Mitchell, Bill Hughes, and Dennis Mackrel in leading one of the greatest and most important jazz orchestras in history. Founded in 1935 by pianist William James Basie (1904-1984), the orchestra still tours the world today and is presently ending a two-week tour in Japan… Mr. Barnhart, born in 1964, is a native of Atlanta, Georgia… He has been a featured trumpet soloist with the Count Basie Orchestra for the last 20 years... His first concert as leader of the orchestra is September 25, 2013 in Atlanta, Georgia at the Cobb Energy Center in a tribute to Count Basie, Ella Fitzgerald, and Joe Williams. Barnhart resides in Los Angeles, California, and Tallahassee, Florida. Charlie Parker is a former neighbor. 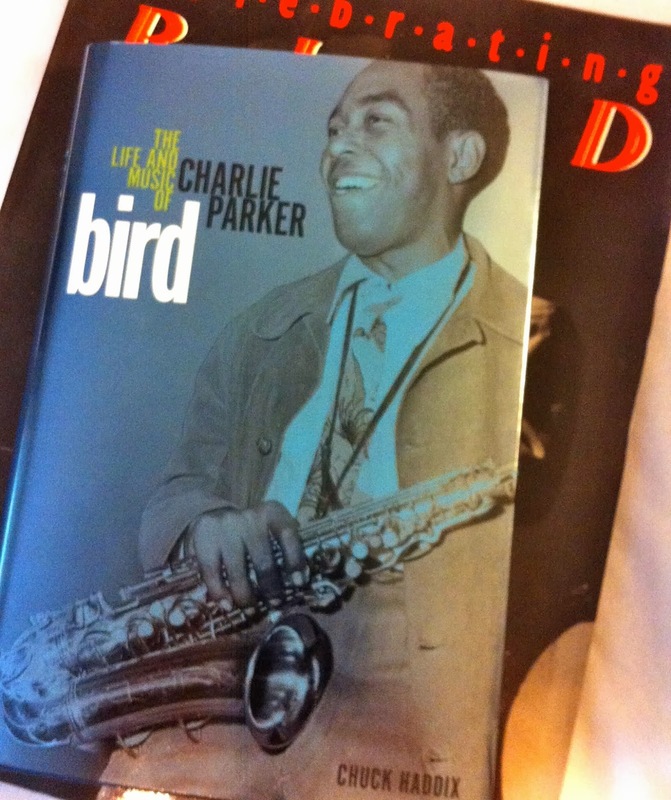 After reading Bird: The Life and Music of Charlie Parker, the new biography by Chuck Haddix, I think of the Kansas City, Kansas, native less as a jazz legend than as a guy who lived much of his life on the same streets I inhabit. While living at 3527 Wyandotte in 1927, for instance, Parker walked by the Uptown Theater on his way to school. As the co-headliner of the Jazz at the Philharmonic tour in 1948, Parker performed successive nights at the Music Hall (whites only) and Municipal Auditorium (integrated audience). A joint named Tootie's Mayfair at 79th & Wornall hosted Parker during his sporadic Kansas City homecomings. He also played the El Capitan at 18th & Vine in 1952, a fact I was oblivious to when I frequented the club in the 1980s. These details- and there are dozens in the book- transformed my perception of Parker's life. The biography is essential reading for every Kansas City-based jazz fan and for anyone who hopes to fully understand the social, economic and political structure of Kansas City during Parker's life (1920-55). The fascinating revelations don't end when Parker relocates to New York. If I'd ever known that Parker once hung out with Albert Einstein and had met Jean-Paul Sartre, I'd forgotten about those odd intersections. Lay readers may find Haddix's constant litany of Parker's tours, club bookings and recording dates too dry. For Bird obsessives, however, such details are endlessly fascinating. Parker's life, of course, is also the story of the relationship between Parker's spectacular genius and what Haddix characterizes as "capricious behavior." Haddix soberly documents Parker's personal failings. Parker's artistic significance and complex life can't be conclusively captured in a single volume. Haddix's thin but rich biography, however, serves as an invaluable contribution to the extensive body of work about Parker. Miguel Zenón has a thing for Charlie Parker. While the native Puerto Rican is a forward-thinking musician, most everything he plays is rooted in the work of the Kansas City legend. Zenón plays "Confirmation" with an all-star band in the embedded clip. The saxophonist and composer performs Monday, September 23, at the Blue Room. The gig is featured in Joe Klopus' weekly column. *An intriguing event titled Ben Webster: From Kansas City To Copenhagen is scheduled for Friday, September 15. *Steve Kraske spoke with Karrin Allyson on KCUR's Up To Date. And Chuck Berg reviewed Karrin Allyson's concert Sunday at the Topeka Jazz Workshop. *KC Jazz Lark provides a behind-the-scenes wrap-up of the Prairie Village Jazz Festival. *Pat Metheny announced a new addition to the Unity Band project this week. *Joe Dimino interviewed Dallas' Laura Ainsworth for Neon Jazz. *From UMKC: Buttonwood Art Space is pleased to be the host for the upcoming UMKC Friends of the Conservatory Happy Hour! Please be our guest to meet, greet, eat and learn about the Conservatory! Featuring performances by UMKC Jazz Studies Students. Dean Peter Witte: UMKC programs, the Friends of the Conservatory, Crescendo and the 2013-14 concert season at Buttonwood Art Space. 3013 Main St.... Tuesday, September 24, 6p – 8p. *From Rob Scheps: Saxophonist Rob Scheps, Special Guest with The Mark Lowrey Trio at one of KC's hippest new venues. Friday, September 27. 9 PM - 12 midnight. Green Lady Lounge. *From Calabro Music: Todd Clouser w/ Jeff Harshbarger Trio. Art rock troubadour Todd Clouser is on a world tour, stopping in Kansas City to debut his new album, Man With No Country. The Minneapolis-bred, Berklee-schooled, Mexico City-resident Clouser comes with an engaging collection of original songs and daring guitar work, having performed with John Medeski, Cyro Baptista and Keb Mo, and toured through the Americas and much of western Europe. Echoes of the Beat generation and Hendrix color Clouser's bold vision of art in sound. The Record Bar, Thursday, October 3. Tickets: $7. *From Take Five Coffee: This week: Hold On To Your Hats. Friday, September 20, 8pm to 10pm: KC Trumpet Summit CD Release Party! Come scale the heights with three of Kansas City's post powerful, admired and beloved trumpet players: Mike Metheny, Stan Kessler and Hermon Mehari. They've been everywhere, they've played everything, they're going further, and they're taking us with them. This is a tour de force ensemble with Gerald Spaits (bass), Brian Steever (drums) and TJ Martley (keys), enthusiastic sherpas to guide the expedition. Pick up their new CD for just $5. Get in early if you want a seat. No reservations accepted for this special engagement. $10 cover. Saturday, September 21, 8pm to 10pm: Rich Wheeler Quartet. Fearless Rich Wheeler, one of Kansas City's most ferocious (yet whimsical) tenor saxophone artists is back at Take Five Saturday. Joining him in spinning up an evening of unchained postmodern madness will be TJ Martley on keys, Ben Leifer on bass and Brian Steever on drums, cymbals and brooms. $5 cover. To the best of my knowledge, I was the only commentator to proclaim Jacob Fred Jazz Odyssey's Race Riot Suite as the best album of 2011. I've never wavered from my admiration of the groundbreaking album. The band also remains committed to the project. Footage of a performance of Race Riot Suite's "The Burning" in Austria last month demonstrates its ongoing vitality. The embedded clip features impressive contributions from Kansas City's Jeff Harshbarger and Mark Southerland. I'm confllcted. While I adore Karrin Allyson, I have far less enthusiasm for 12th Street Jump. It's not them- it's me. I simply don't care for the radio program's brand of humor. A taping of 12th Street Jump featuring Joe Sample last March reinforced my perspective. Allyson performs with the 12th Street Jump cast at Unity on the Plaza on Monday, September 16. Joe Klopus and Bill Blankenship previewed Allyson's return to her old stomping grounds. *The American Jazz Museum unveiled the complete schedule for the 18th & Vine Jazz and Blues Festival. *A portion of Chuck Haddix's biography of Charlie Parker was excerpted by The Kansas City Star. The Star also published a review of both Haddix's and Stanley Crouch's Parker biographies. *Libby Hanssen reviewed the Prairie Village Jazz Festival. The PV Post offers a couple photos of the event and reports on a bit of related whining. *A concert by Eddie Moore and the Outer Circle and Project H was documented by KC Jazz Lark. *The Pitch examines the Black Lab New Music Festival. *The Kansas City Kansas Public Library is hosting a series of jazz-related events under the auspices of Bop in the Dotte. 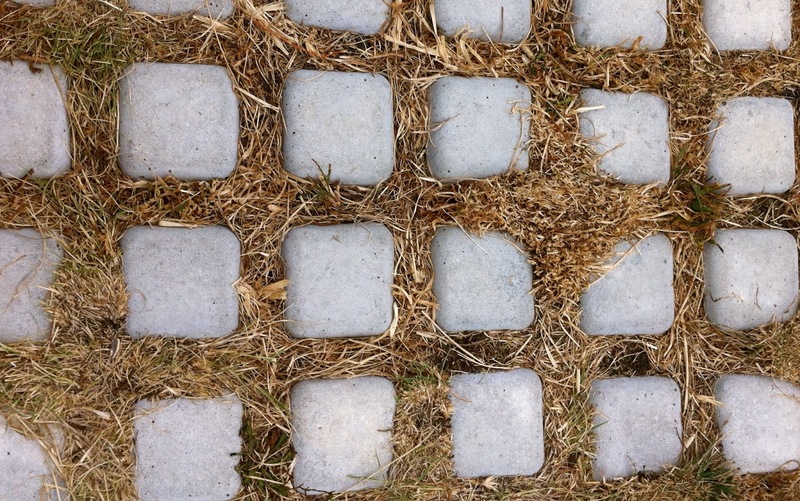 *Marc Meyers offers further appreciation of former Kansas City resident Ronnell Bright. *Comment o' the Week: Michael- You decided against posting the clip of Watson and Harrell totally destroying him at the JVC Festival? I admire your restraint, Happy. *Tweet o' the Week: KC Jazz Lark- Thank you to everyone at yesterday's Prairie Village Jazz Fest. The night's crowd was our largest ever. Every group on stage was wonderful. *From Take Five Coffee: September is a powerhouse month for us, and this week we kick it into high gear with three shows by elite performers of every stripe. Thursday, September 12, 7pm: Hermon Mehari and Andrew Ouellette on keys. $5 cover. Friday, September 13, 8pm: Roger Wilder Trio. We’re thrilled to have Roger back in the house leading his own trio with Seth Lee (bass) and Sam Wisman (drums) ready to make your Friday the 13th definitively UN-scary. $5 cover. Saturday, September 14, 8pm: Grisha Alexiev and Diana Herold. The last time Grisha (drums) and Diana (vibes) were in town they were simply mesmerizing. From NYC, this husband/wife percussive duo will be joined by Ron Carlson (guitar) and Greg Clinkingbeard (bass) for one amazing evening of music. Both are respected composers; Grisha has performed with the likes of Sam Rivers and John Cage and Diana with Yo Yo Ma, Wynton Marsalis and They Might Be Giants among others. They're also two of the nicest people you'll meet anywhere. Come on out for a great evening with out-of-town guests! $5 cover. An extraordinarily gratifying performance took place in a sun-soaked cottage on a college campus last week. The Lisa Henry Quartet delighted a capacity audience of about 100 at the Conference Center near the south entrance of Kansas City Kansas Community College. The structure adjacent to a small body of water resembles a rustic hunting lodge. The charming setting is transformed into a comfortable jazz venue during the institution's free Jazz By the Lake series. Backed by keyboardist Everett Freeman, bassist Tyrone Clarke and drummer Mike Warren, Lisa Henry sang standards with impeccable grace for an hour. A duet with Clarke on "Mood Indigo" showcased her lustrous voice. With a vocal tone that evokes Nancy Wilson and an ability to swing like Ella Fitzgerald, Henry is an incredible mainstream jazz vocalist. Her performance was so riveting that it was impossible not wonder why she's not better known. Henry was introduced to the international jazz community when she took second place in the Thelonious Monk International Jazz Vocals Competition in 1994. Internet trolls are aware of Henry because of this oddity. "Professor Bobby Watson says they come for the hug," Henry said at the conclusion of her performance. "I thank you for coming and I hope you've enjoyed the hug." Henry's musical embrace is one of my favorite performances of 2013. Jon Faddis probably won't be the most impressive artist to appear at the Prairie Village Jazz Festival on Saturday, September 7. The trumpeter's presence represents the icing on a ridiculously decadent cake. Plastic Sax's analysis of the festival's excellent lineup is here. Joe Klopus characterizes the next few days as "one of the greatest jazz weekends of the year, possibly of the decade." *Pete Weber has informed Plastic Sax of forthcoming live tapings of 12th Street Jump featuring prominent guest artists. They include Karrin Allyson on September 16, Kevin Mahogany on November 27 and Bobby Watson on December 20. Each event will be held at Unity on the Plaza. *The Village Voice hails Kansas City Lightning: The Rise and Times of Charlie Parker, the first volume of Stanley Crouch's forthcoming biography of Bird. *Stephen Butler created a Kickstarter campaign to raise funds for a Bobby Watson-related project. *Poncho Sanchez will be featured in a "special artist talk" at the American Jazz Museum at 2 p.m. on Friday, September 6. The event is "free and open to the public." Sanchez performs at the Blue Room Friday evening. *KC Jazz Lark shares a few general observations about the region's jazz scene. *Greg Carroll of the American Jazz Museum was included in KCUR's panel discussion about "The Impact of Latin American Music". The museum is currently hosting the American Sabor: Latinos in U.S. Popular Music exhibit. *The Black House Collective is preparing for its new music festival. *Steve Paul captured a portion of the recent performance by Matt Otto's Shoe-Less Joe at the Blue Room. *Today is the deadline for contributions to a Kickstarter campaign intended to raise funds for a theatrical production based on the life of Myra Taylor. With 11 hours remaining, $1,157 of the $14,000 goal had been pledged. *Russell Thorpe proposes a different sort of blindfold test. *Ben Ratliff reviewed last weekend's Charlie Parker Jazz Festival for The New York Times. And here's a photo set documenting the event. *Hermon Mehari demonstrates a trumpet for B.A.C. Horn Doctor. *Tweet o' the Week: Troy Diggs- KC folks: I see that the former Outa Bounds is being flipped into a jazz club? I'm intrigued. Anybody know more? *Comment o' the Week: Sam- thanks for Bobby blindfold test...great stuff. *From a press release: Saxophonist-composer-producer-educator Bobby Watson is proud to release, Check Cashing Day, the second self-produced recording on Watson's label, Lafiya Music. The project, which honors the March on Washington's 50th anniversary and Dr. Martin Luther King Jr.'s iconic "I Have A Dream" speech, is now available digitally (August 28, 2013) and will be released physically on November 12, 2013. As Watson reflects, Check Cashing Day serves as "a commentary on where we've been, where we are, and where we need to go as a people, as a country, and as a global community." Instead of focusing on the iconic "I Have A Dream" aspect of Dr. King's speech, Watson chose to concentrate on another very significant part: the reason why over 300,000 people, black and white, gathered in Washington, D.C. on August 28, 1963. Dr. King spoke of coming to Washington to cash a 100 year old check, a moral check that the founding fathers wrote into the Declaration of Independence, but to this day, the check keeps coming back marked 'insufficient funds.' "This, being the year of my 60th birthday, I sadly understand that Dr. King's dream has not been fully realized and the struggle continues," says Watson. Introducing poet and spoken word artist Glenn North from Kansas City, MO, Check Cashing Day is a concept recording with 15 tracks portrayed in the vein of musical theatre. "I asked Glenn to put some poetry, from his perspective, to several of my compositions, as well as one written by vocalist Pamela Baskin-Watson and two by bassist Curtis Lundy," comments Watson. "It was my desire with this project to produce poetry that would in some ways cleanse the soul," notes North. In addition, Watson's release features trumpeter Hermon Mehari, pianist Richard Johnson, drummer Eric Kennedy, flutist Horace Washington, and trombonist Karita Carter. With Watson's commentary on the ongoing struggle of todays racial inequalities spotlighted on compositions such as the title track "Check Cashing Day (For Ms. Trudy)" and "MLK on Jazz (Love Transforms)," he offers a recording that provokes positive conversation and continued movement towards Dr. King's 'dream,' so that the 'dream' becomes a reality in today's world. "The result is something more powerful and thought provoking than I could have imagined," concludes Watson. *From Ron Carlson: Enjoy the cool sounds of jazz vibraphone as New York City meets Kansas City! New York City musicians Diana Herold and Grisha Alexiev team up with Kansas City musicians Ron Carlson and Greg Clinkingbeard for an evening of original material and classic jazz standards! Diana and Grisha are veterans of the New York music scene and have lots of music and stories to share. Percussionist Diana Herold has received graduate degrees from the New England Conservatory and Rice University. Adept at performing both improvised and non-improvised music, Diana has worked and traveled abroad with musicians such as Yo Yo Ma, Kenny Wheeler, Alex Rostotsky, Buddy DeFranco, Ray Brown, Wynton Marsalis, They Might Be Giants and the Joint Chiefs. She has performed in multiple Broadway shows including the Lion King, off-Broadway shows, several orchestras and leads her own latin and jazz groups featuring her original compositions. Grisha Alexiev has been playing drums for over forty years and has written more than 400 compositions. He has performed with a variety of artists including Archie Bell, Ken Werner, Sinfonia of Auckland New Zealand, Sam Rivers, Sandy Weston, Marty Ehrlich, Julius Hemphill, John Cage, Arnett Cobb, Muhal Richard Abrams, Anthony Braxton and Richard Stoltzman. Grisha has been commissioned by dance companies and is recorded on the Jazz Club, Rounder, Soul-note and Mapleshade labels. Diana Herold / Grisha Alexiev Quartet --- Diana Herold (vibes), Grisha Alexiev (drums), Ron Carlson (flute, guitar) and Greg Clinkingbeard (bass). Friday, Sept 6th, Lucky Brewgrille, 6-9 pm, No cover. Saturday, Sept 14th, Take Five Coffee Bar, 8-10pm, $5 cover. *From a press release: The American Jazz Museum received email notification last evening that The Blue Room has been named among Ingram's, "Best of Kansas City" winners again this year in the Jazz or Blues Club category. *From Mike Pagan: Tickets for this Sunday's Dueling Piano Summit concert have been reduced to $25.00 each, effective immediately. Tickets at the door the day of the show will be $35.00. Individuals who purchased a ticket at the $50 price will receive a refund of $25.00 per ticket. Contact Michael Pagán at 816.589.9384 for further info. Harold O'Neal relocated to New York several years ago, but he still has Kansas City on his mind. Man On the Street, O'Neal's new album, opens with a tune titled "The Deen of Swing." The song is almost certainly a tribute to the late Ahmad Alaadeen, one of O'Neal's mentors as he grew up in Kansas City. Bobby Watson also gave the young pianist's career a significant boost. "Is It This," the second track on the album, is a melodic tune in the style of Watson. Other tracks, including "P.L.C,," advance the hard bop theme of Man On the Street. The most interesting tracks, however, are the least conventional selections. The mystical "Childlike" is thoroughly enchanting. The impressionistic solo piano piece "Gossamer's Lilt" is the highlight of the album. O'Neal's band- saxophonist Marcus Strickland, bassist Joe Sanders and drummer Marcus Gilmore- is strong, but it's O'Neal's classically-inspired playing that differentiates his music. In spite of the album's title, very few of the sounds of Man On the Street will jump out at listeners not already conversant in the jazz language. Jazz hounds, however, will relish the project.